Many of the comments towards Bruce Jenner's alleged transition have been cruel, rather than supportive. This version corrects mistakes in paragraphs two and nine, changing female to woman; six and 12, changing transsexual to trans person; and paragraph seven, changing heterosexual to cisgender. When In Touch magazine Photoshopped Bruce Jenner’s face onto Dynasty actress Stephanie Beacham, she told Inside Edition that she thought it was funny. In Touch magazine’s Photoshopped cover of Bruce Jenner as a woman. The photo, meant to portray how Jenner would look as a woman, was not funny. It was intrusive, since the Olympian has yet to address his alleged transition. Although, according to Yahoo he is scheduled to be interviewed by Diane Sawyer to reveal his female name. His mother, Esther Jenner, told the website Radar she had just recently learned about his transition and that she and Jenner had a long talk about it. The comments section on these articles have been a hub for negative statements conveying Jenner as gross, bored and freakish. Supporting comments defending Jenner’s transition can also be found on these pages — but there shouldn’t be a need for defence. The negative commenters, protected by anonymity, are cyberbullying a person who they don’t know. Laverne Cox was the first transgender actress to be featured on the cover of Time magazine. Ignorant comments like these are alarming in our seemingly progressive world where transgender actress Laverne Cox became the first trans person to land the cover of Time. Cox however, has yet to win any awards for her portrayal of Sophia Burset in Netflix’s Orange is the New Black. In contrast, cisgender actor Jeffrey Tambor won a Golden Globe for his portrayal of a trans woman in Amazon’s Transparent. Similarly, Jared Leto won an Oscar for his role as a transgendered woman in Dallas Buyers Club. According to GLAAD, there have been 102 episodes and non-recurring storylines on TV since 2002 with transgender characters. Fifty-four per cent of these were considered to be poor representations of the trans community and only 12 per cent were considered good — but few of these roles were played by transgendered actors. Recently, Glee explored the matter a second time, with fan favourite Coach Beiste beginning the transition from female to male. Dot Marie Jones, who plays the kind-hearted coach, told AfterEllen that the response to Beiste’s storyline touched her heart. But when it comes to transgendered individuals in the real world, people seem to find it harder to accept. Before news of Jenner’s alleged transition was unveiled via speculation and rumour, broadcast media made a foray into addressing trans people and their sexuality — and failed miserably. When Cox and trans woman Carmen Carrera joined Katie Couric on her daytime show Katie, Couric made the glaring error of referring to transgender people as “transgenders,” a term deemed offensive by the trans community. Then she proceeded to ask intrusive questions about genital augmentations and other surgeries. Cox responded: “Preoccupation with transition and surgery objectifies trans people.” She added that it leads to discrimination that is disproportionate to the rest of society. She also stated that focusing on this issue leaves the more important topics unexplored. She said transgendered people’s unemployment rate is double the U.S. national average. It’s four times the average for trans people of colour. Society gets to feel progressive by appreciating these “bold” plots in movies and TV shows, while continuing to pass judgment on those transitioning publicly. On TV and in movies, transitioning is at a comfortable distance and thus applauded for being brave and groundbreaking. Society seems OK when trans people are on our screens. But much less accepting when they’re on our streets. 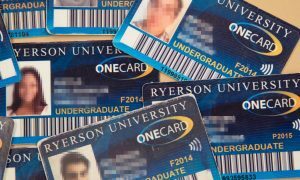 This story also appeared in The Ryersonian, a weekly newspaper produced by the Ryerson School of Journalism, on Feb 25, 2015.